Select Commission options to define commission type [in points Or in cash Or cash and Points]. Enter the percentage of commission according to the type you selected. From add new product select vendor name. 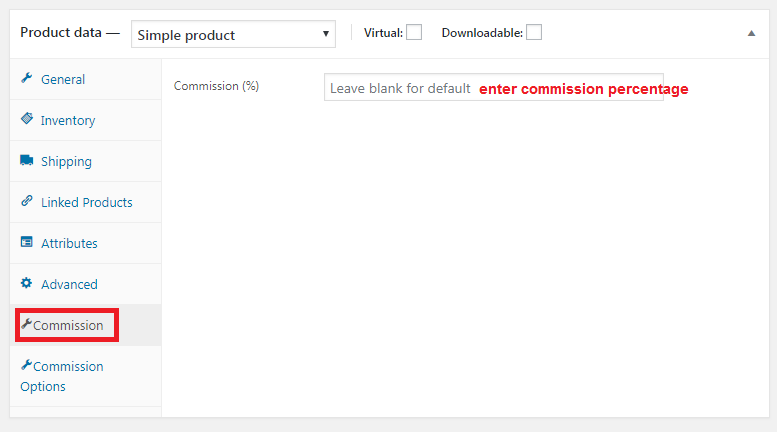 The commission will calculate according to settings added form products if not added will be added from users if not added will be calculated from default. 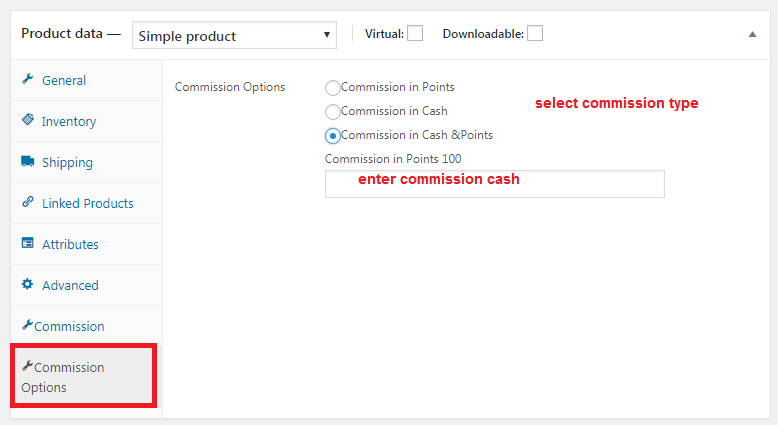 In case of no exchange rate value, the user won’t be able to give commission as points.